Thinking about how to entertain your guests at your upcoming San Antonio wedding? 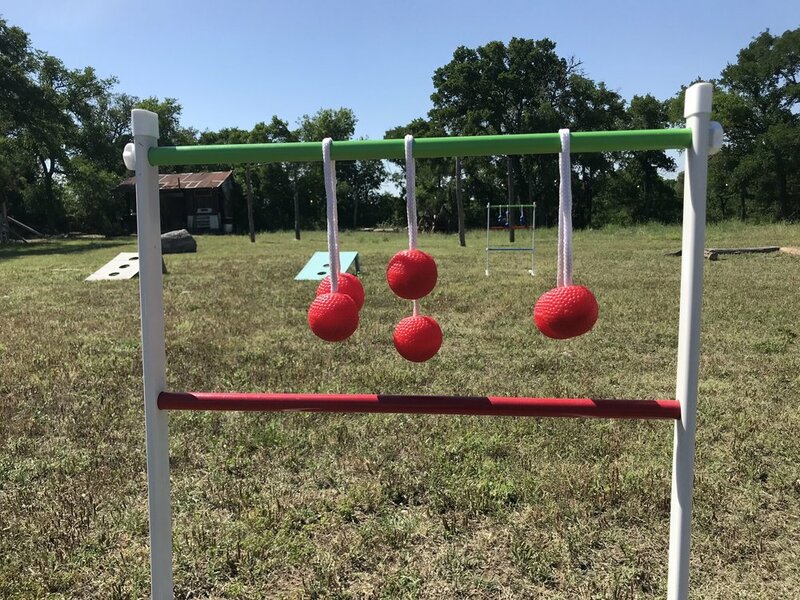 Giant yard games can make a wonderful addition to your wedding reception. Giant games are becoming increasingly popular wedding reception additions. 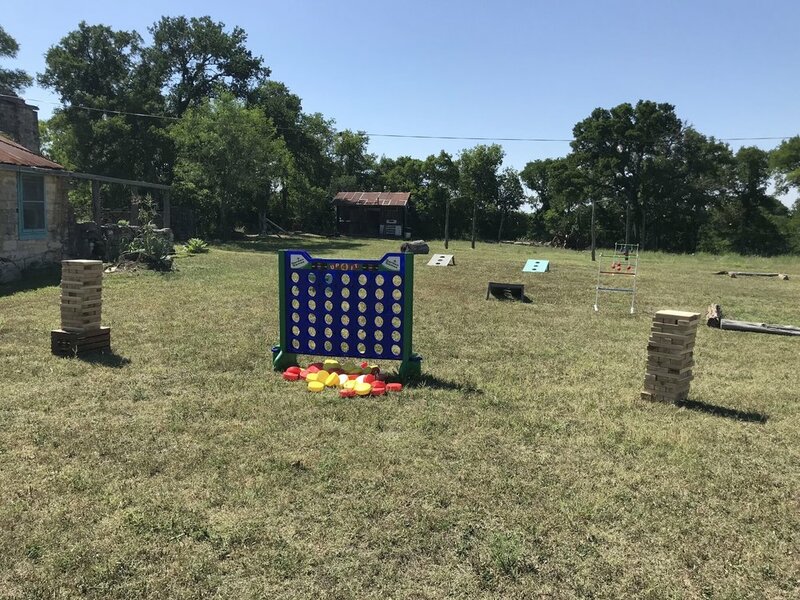 San Antonio brides are loving giant games as entertainment for their Texas Hill Country Weddings. Not only is it a perfect way to break the ice between guests that might be meeting for the first time, it's also an great way to get a ton of awesome photo op moments of your friends and family having a great time. Giant games can be played both indoors and outdoors, so don't worry about your venue. There can be a lot of downtime during a wedding, and you definitely don't want your family and friends to feel bored. There can be lulls while people wait for other guests to arrive, while they're waiting for food to be served, and while photos are being taken. It's also a great way to entertain your guests while they're not dancing. Another awesome thing about giant games at your event is that it can bridge the age gap between your guests. Giant games are sure to be a hit with not only children, but your adult guests as well! If you're planning on having kids at your weddings, rest assured that they'll smile when they arrive and see games set up for them to play! Here at Rent Giant Games, we want to help make the most important day of your life easy and hassle free. We provide a fast and easy set up and break down of all of our games. One less thing you have to worry about! We offer a variety of games that are sure to bring out the playfulness in your guests. We offer giant beer pong, giant jenga, giant connect four, corn hole and ladder toss. Click here to inquire about booking Rent Giant Games for your special day.